We mostly get to see humanoid robots that walk on land and may or may not one day kill us. Occasionally we see robots of the swimming variety. All the better to kill us in the oceans. I guess we aren’t going to have any safe places to hide. This Mantabot was designed to mimic the swimming style of a manta ray, and it does it’s job very well. It looks just like the real thing. 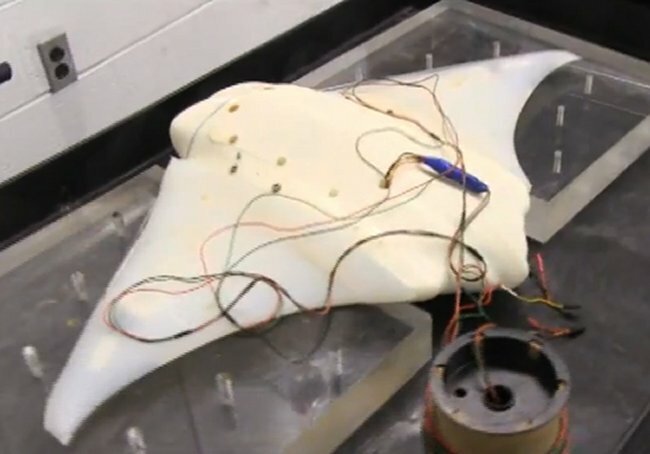 Professor Hilary Bart-Smith from the University of Virginia explains that the robot is meant to explore the future of bio-mechanical engineering by examining the unique way in which manta ray travels through water. In other words it will help them to build even more realistic robots based on animals. Check out the video to see this creepy bot in action.